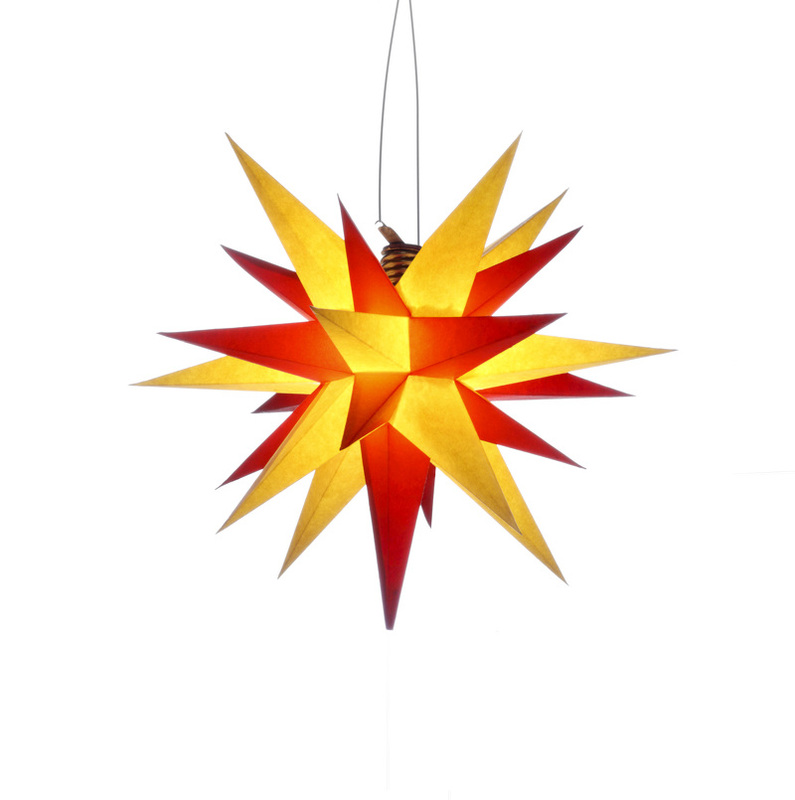 Herrnhuter Sterne have been made of paper in the traditional way of the craft. 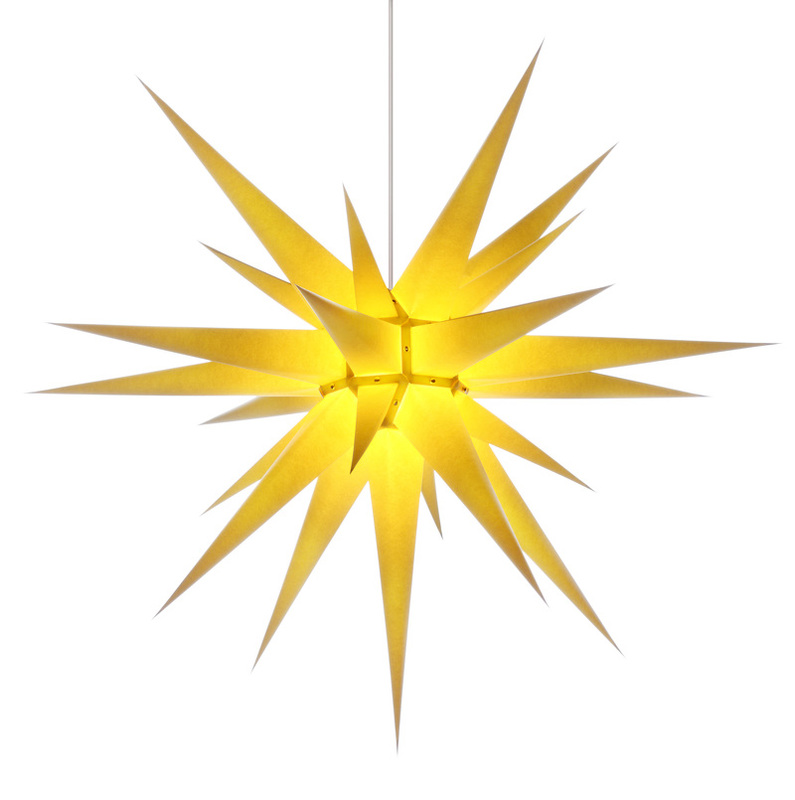 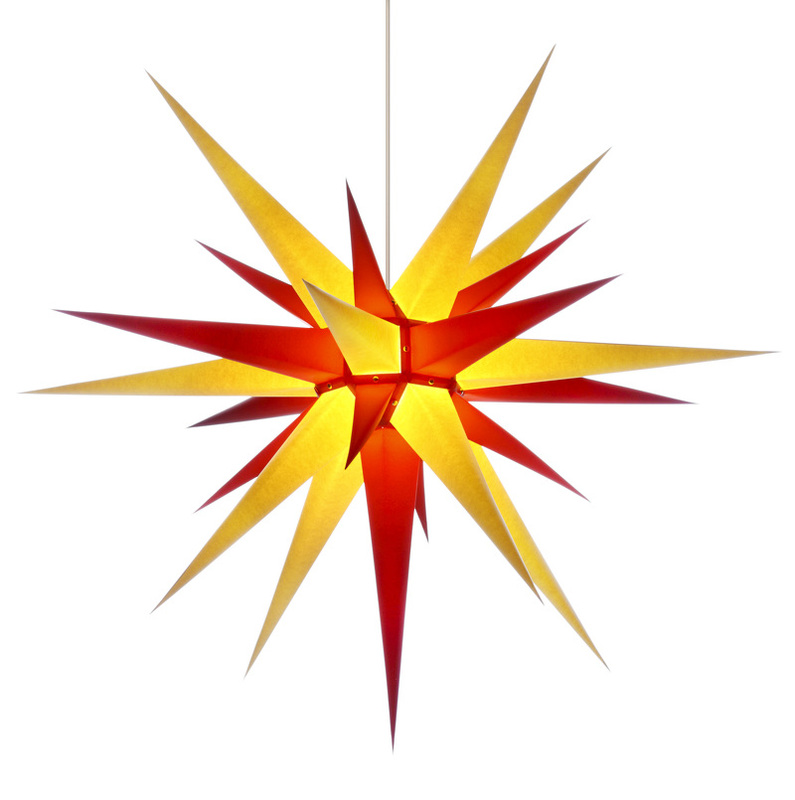 Whilst the original star was coloured red and white – white for purity and red for the blood of Christ – today there is a much larger selection. 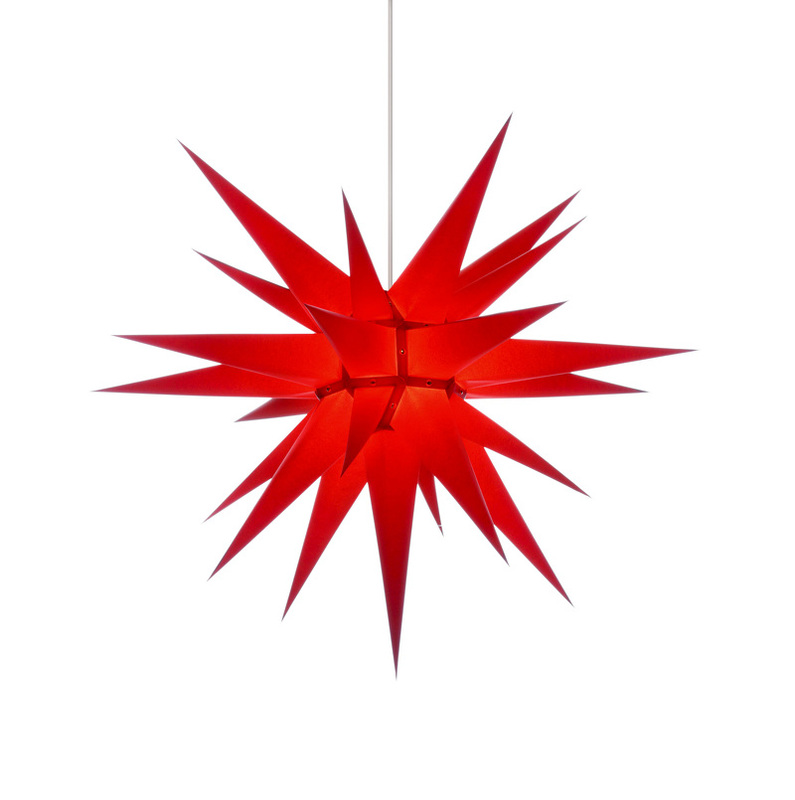 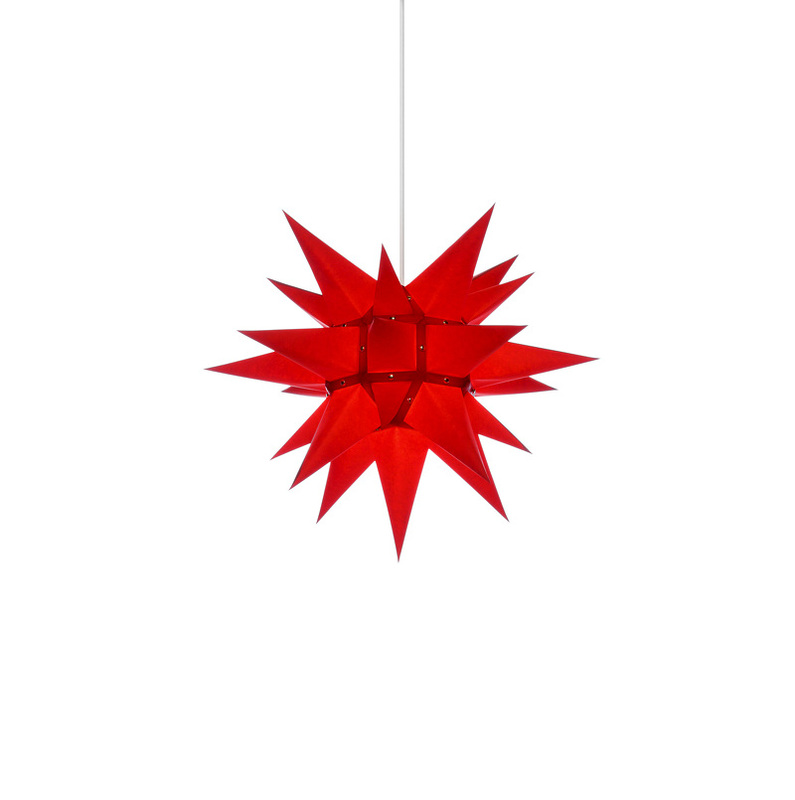 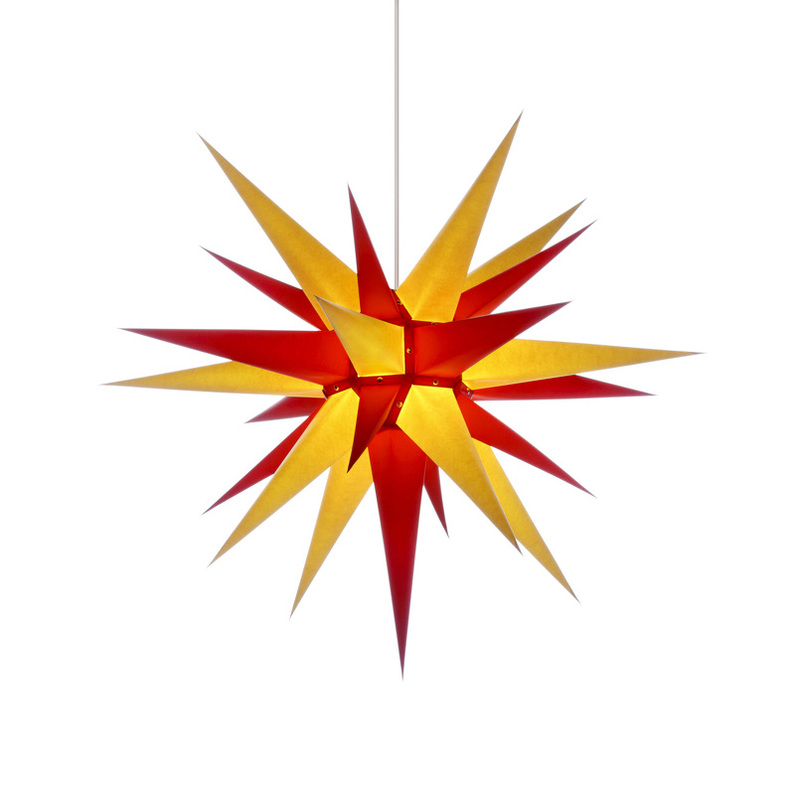 The product range of paper stars includes five sizes between 13 and 80 cm in diameter in seven different colours. 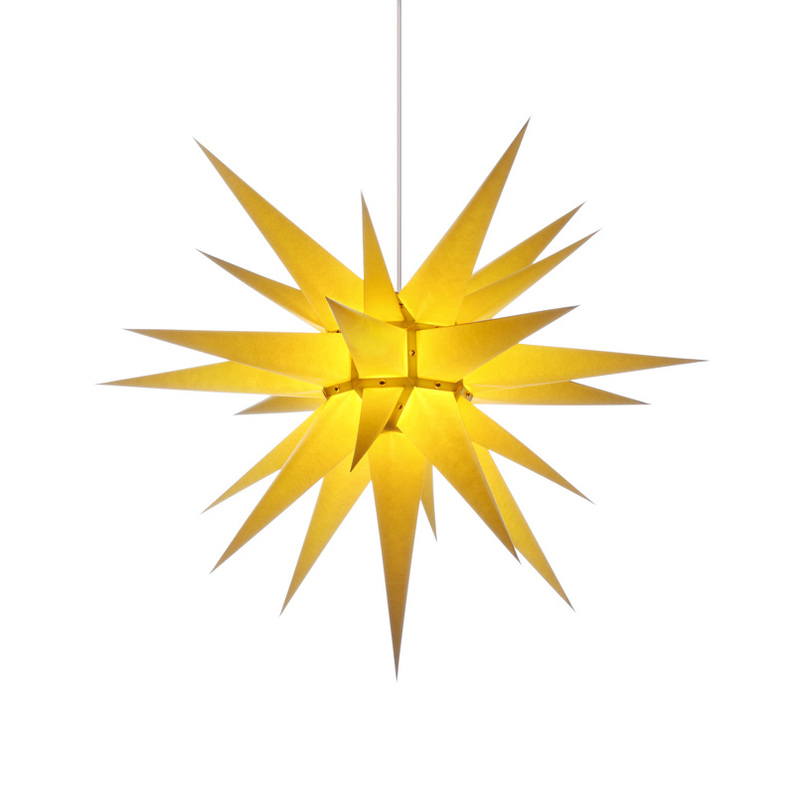 Punched, grooved with a blade, pasted together with brush and tweezers, this smallest of all paper stars, measuring only thirteen centimetres, is something very special. 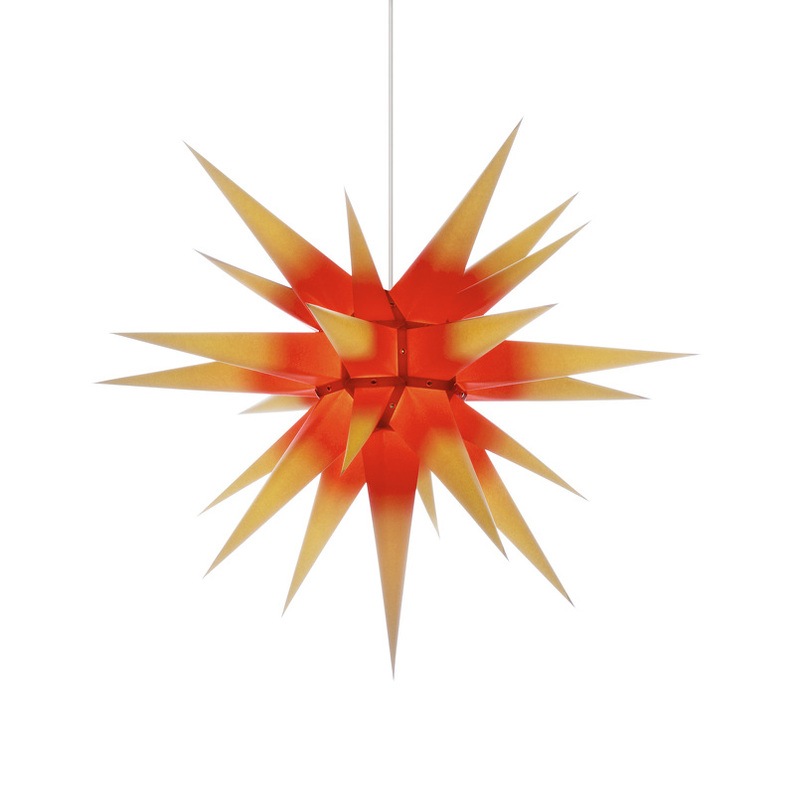 It takes an hour and a half to make a single star, which lies from the very start in the steady hands of one of our employees. 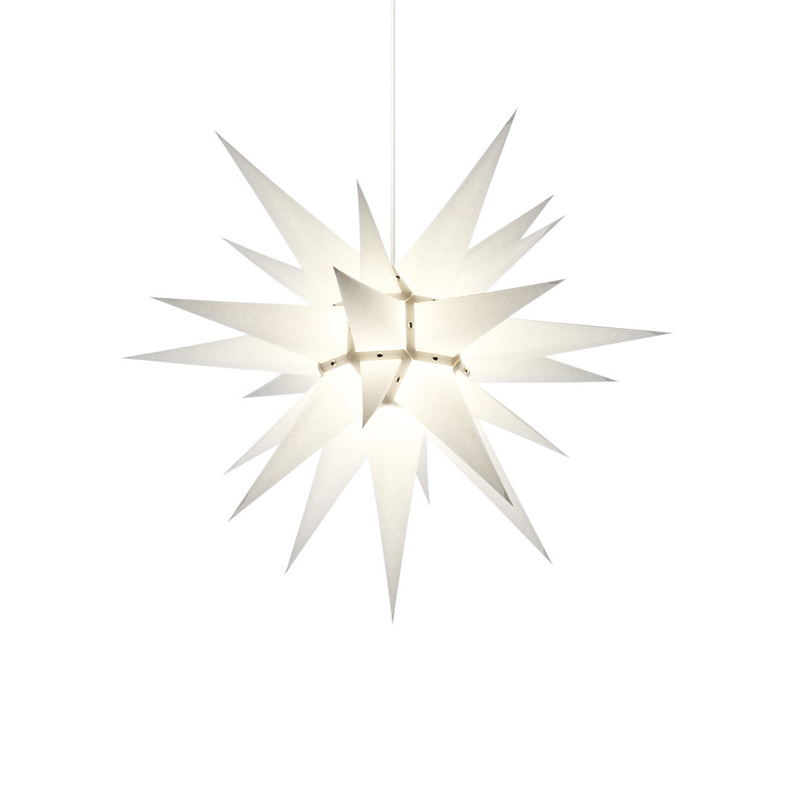 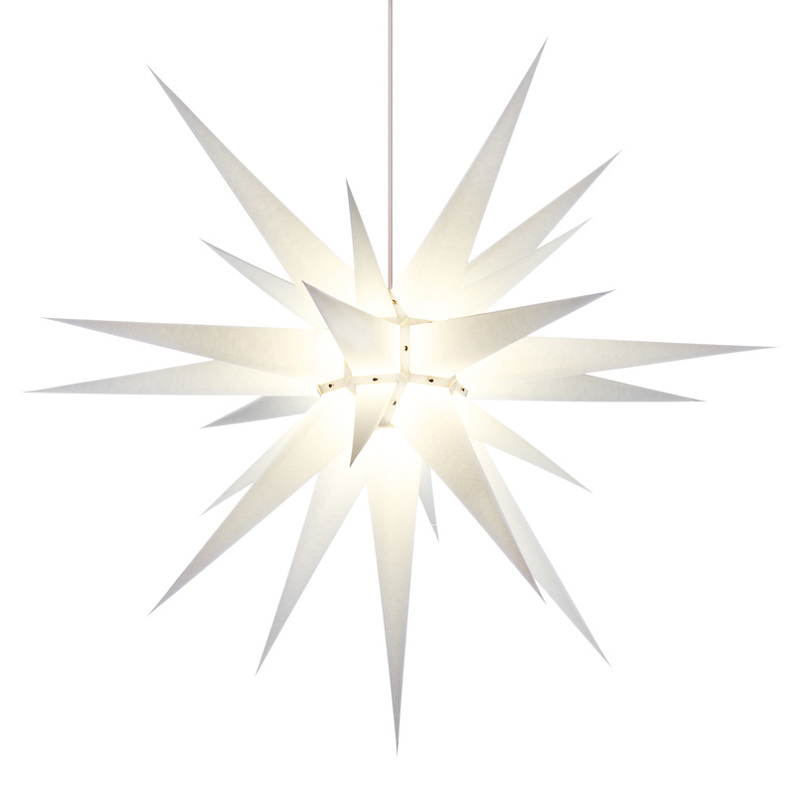 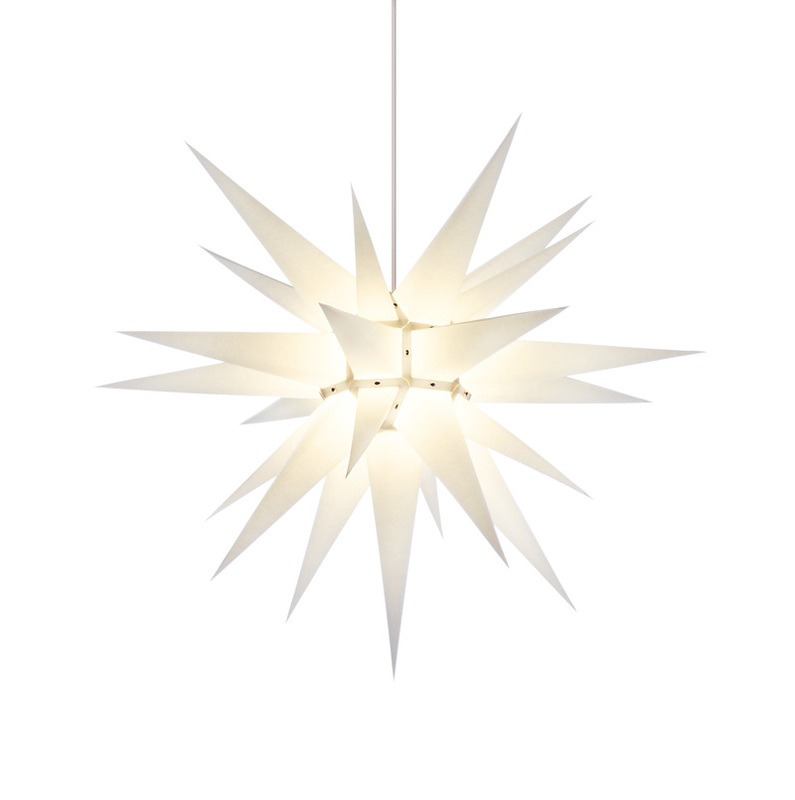 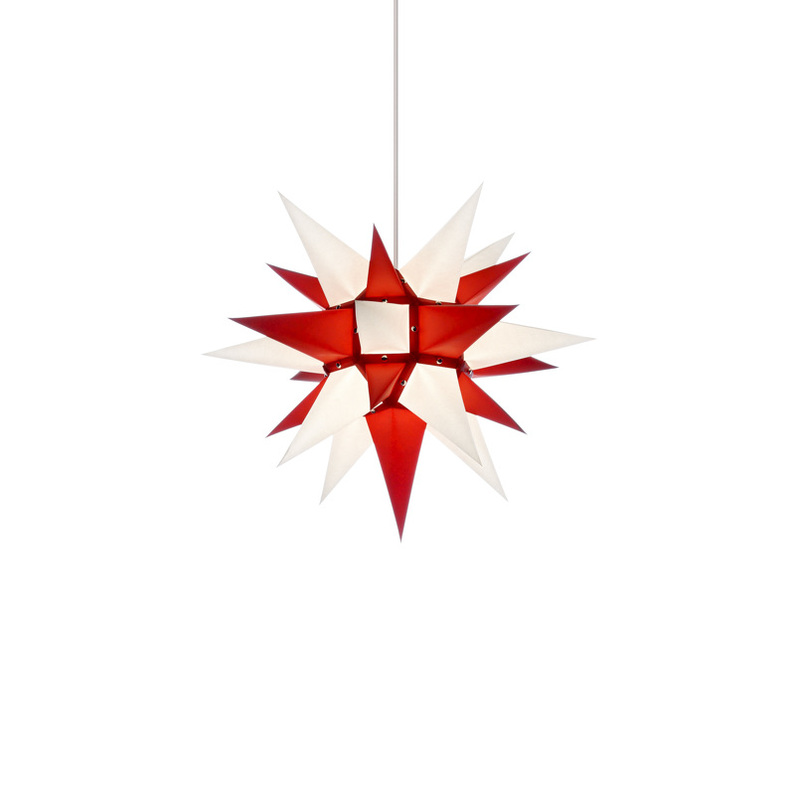 Each year, a limited series of these tiny stars is produced with a great sense of sensitivity. 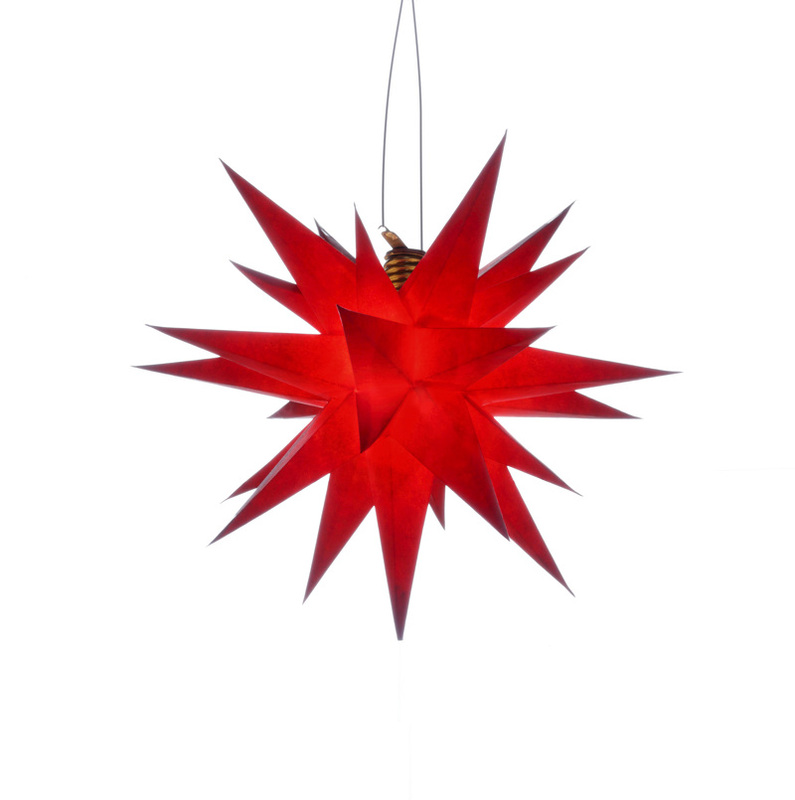 This is only available in Herrnhut and underlines this star’s exclusive status. 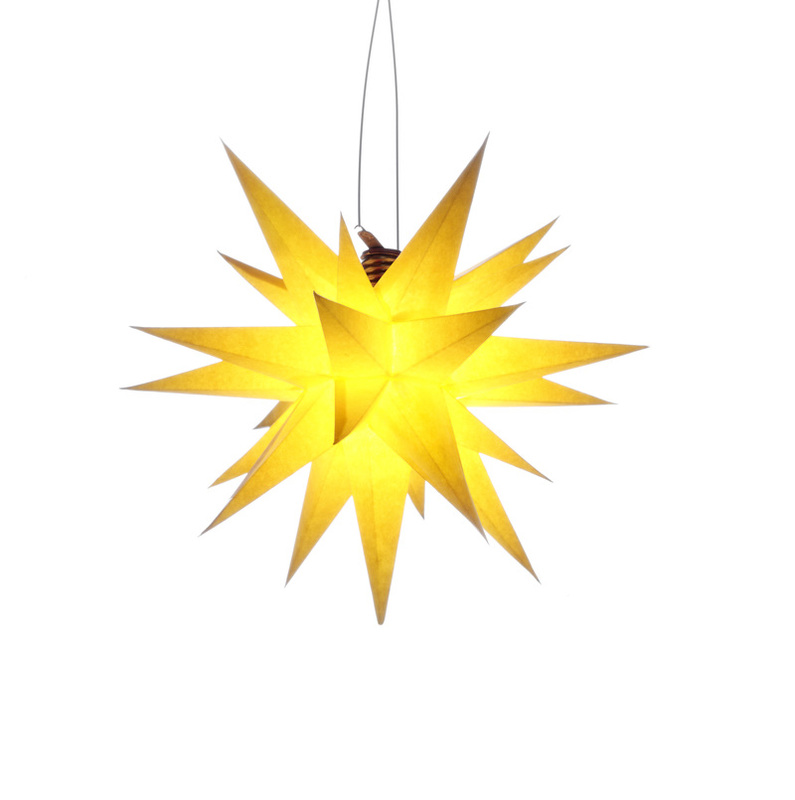 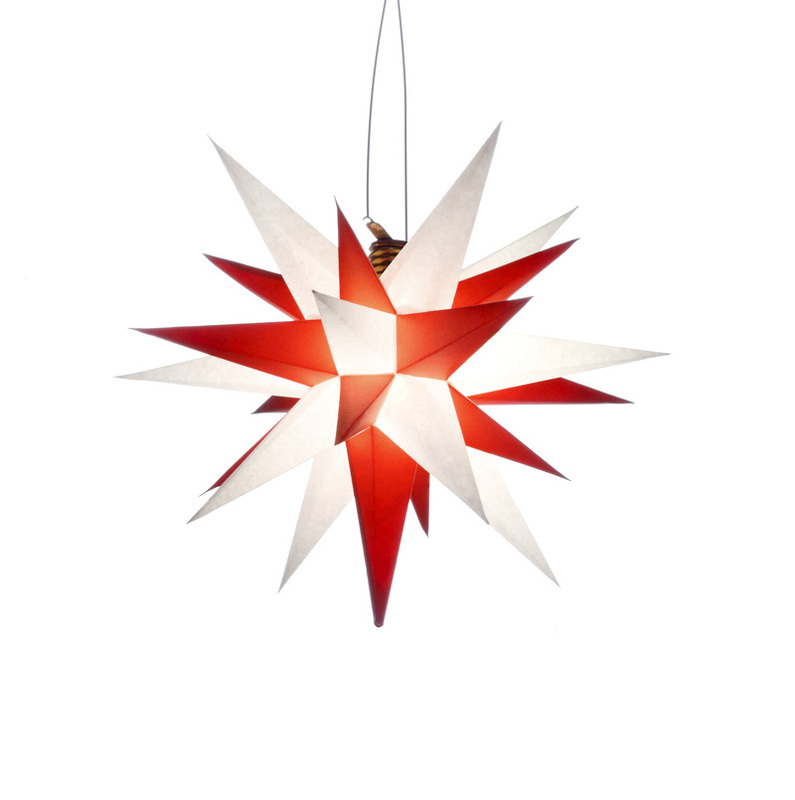 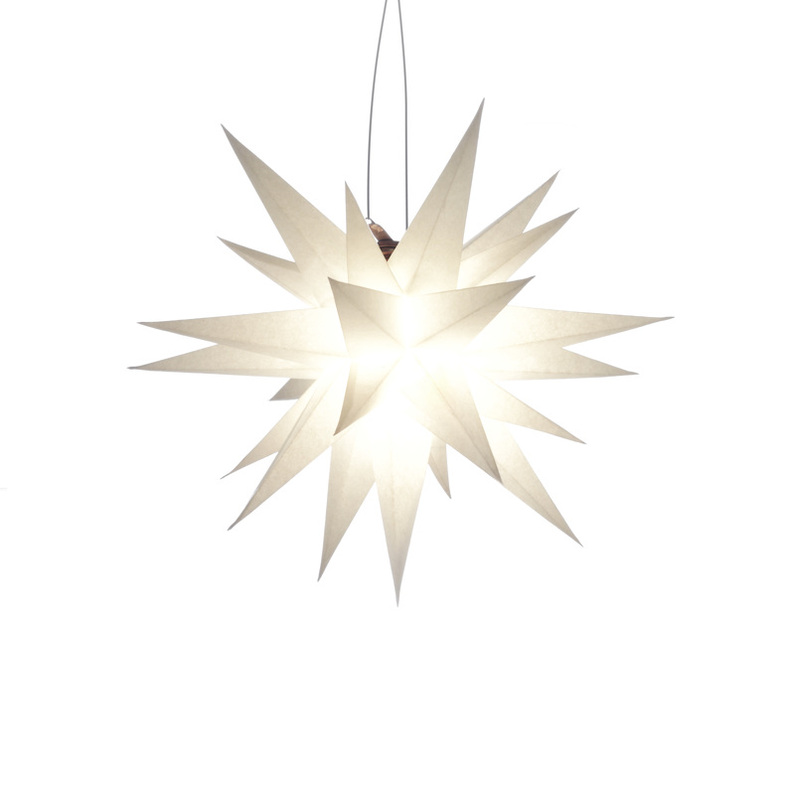 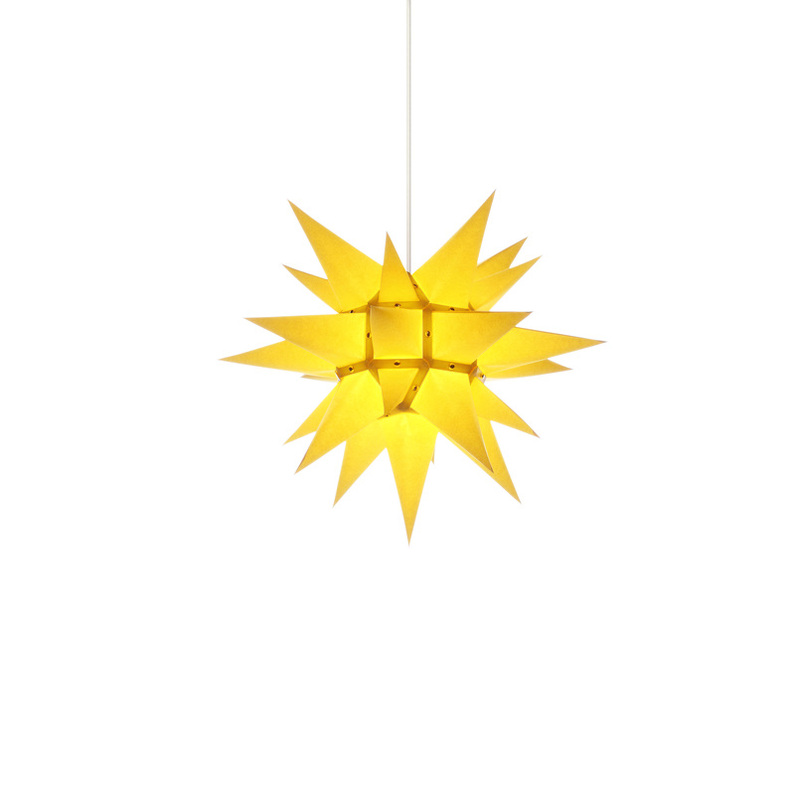 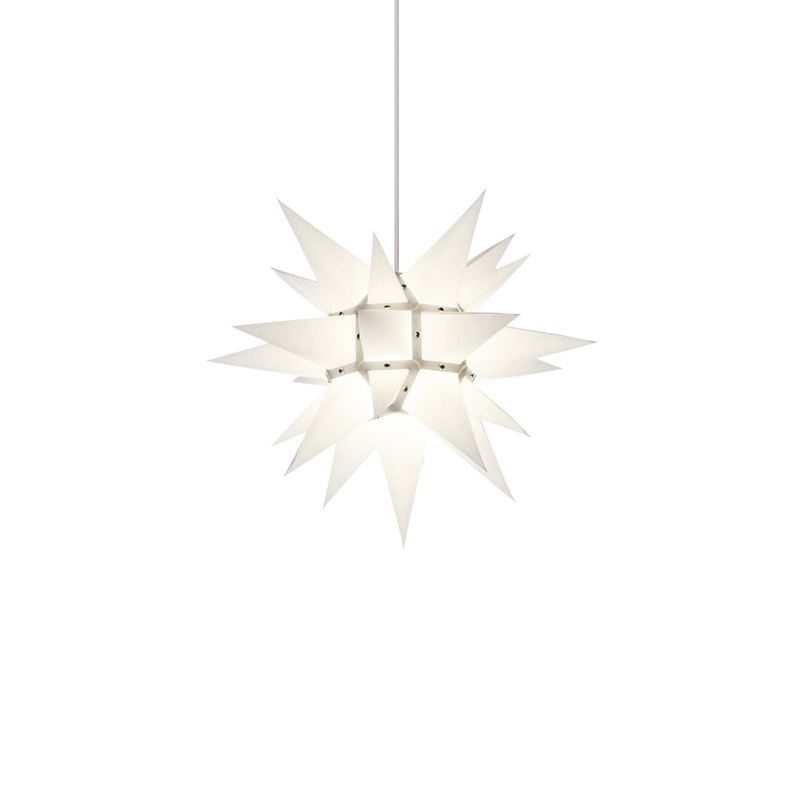 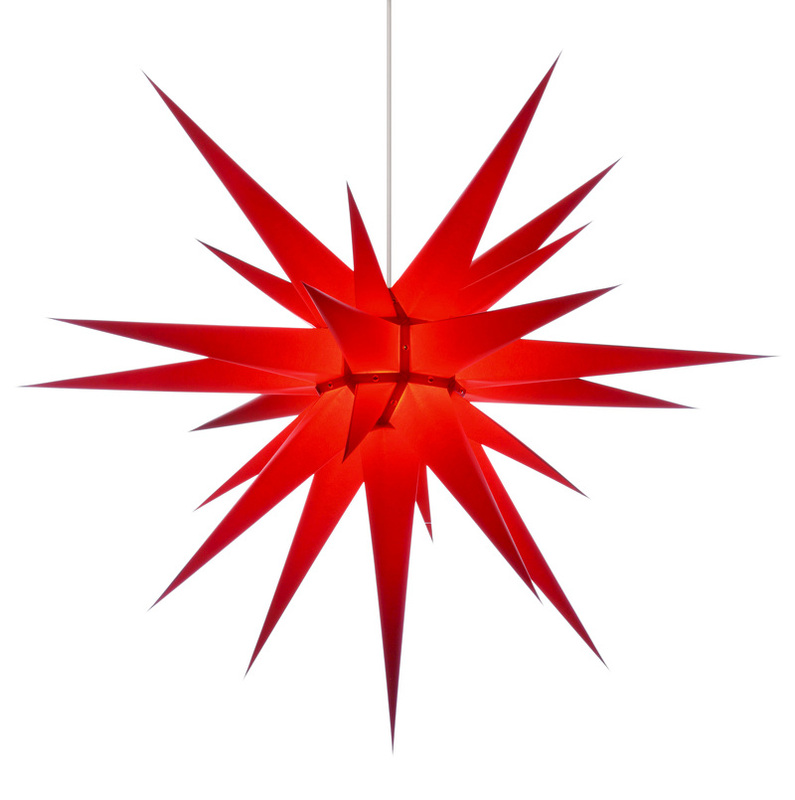 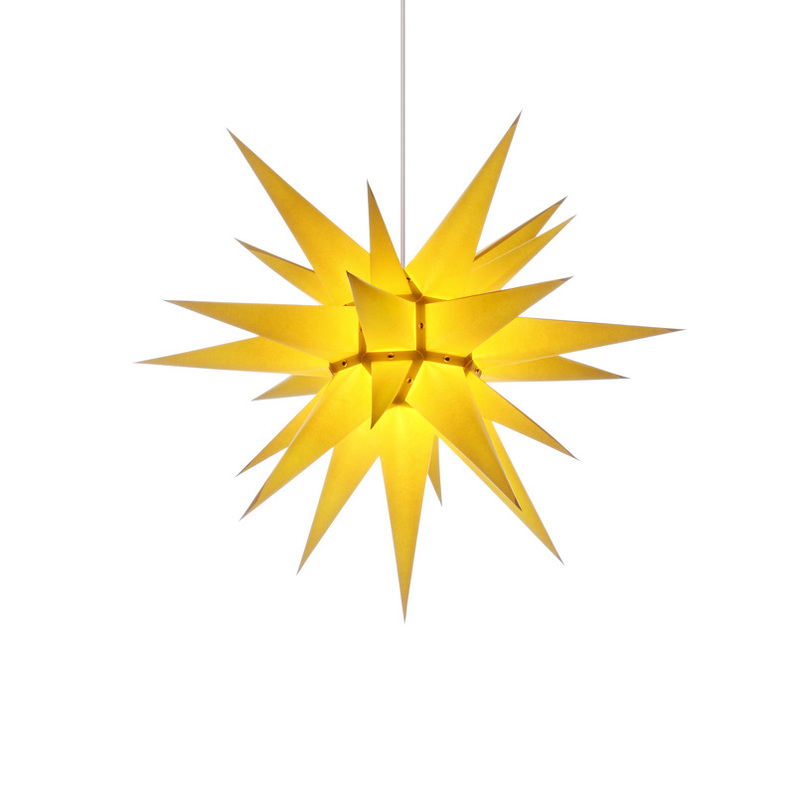 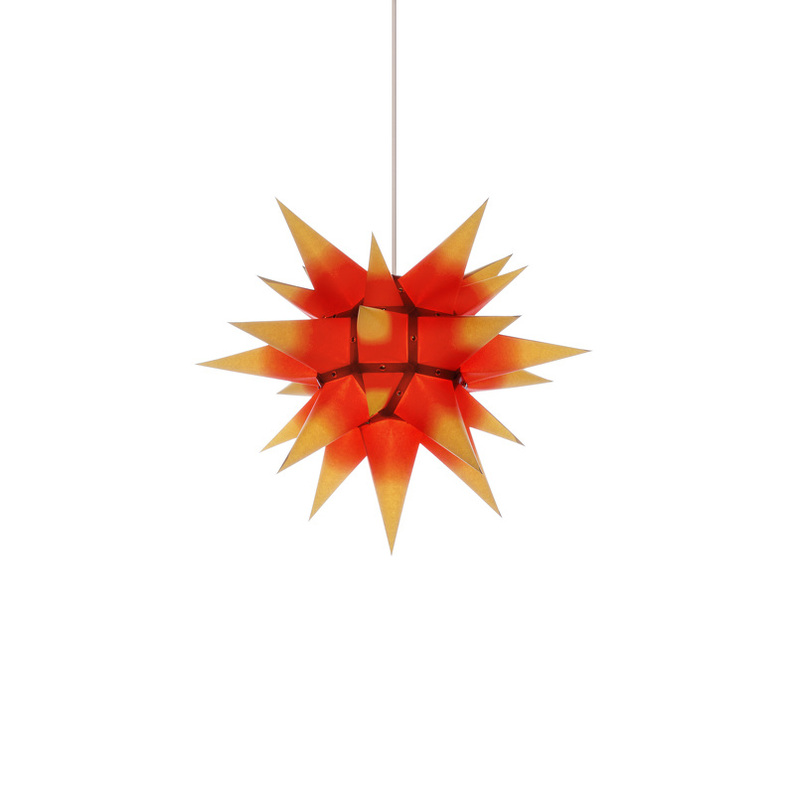 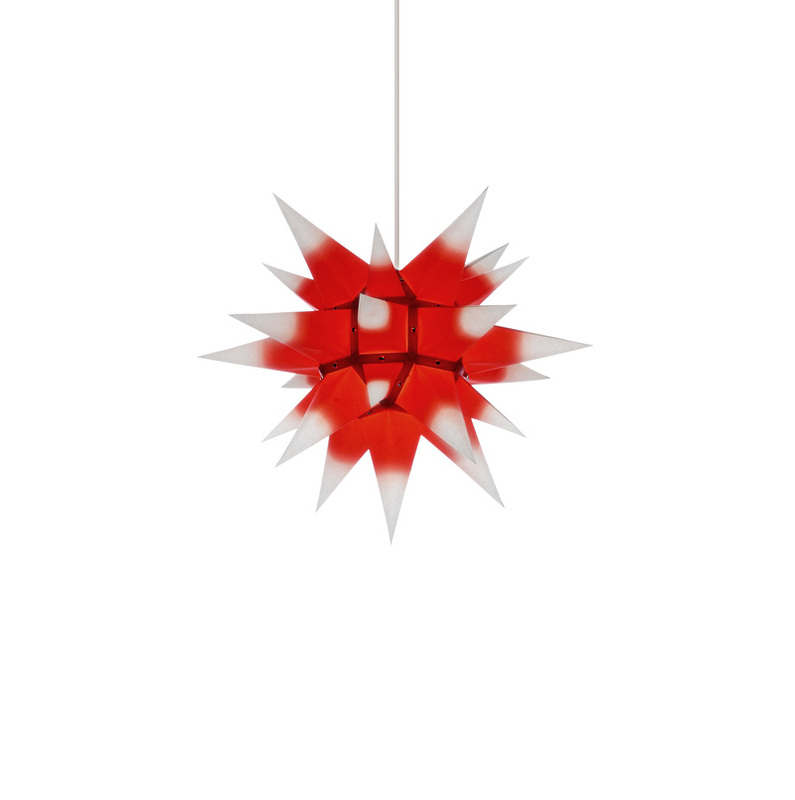 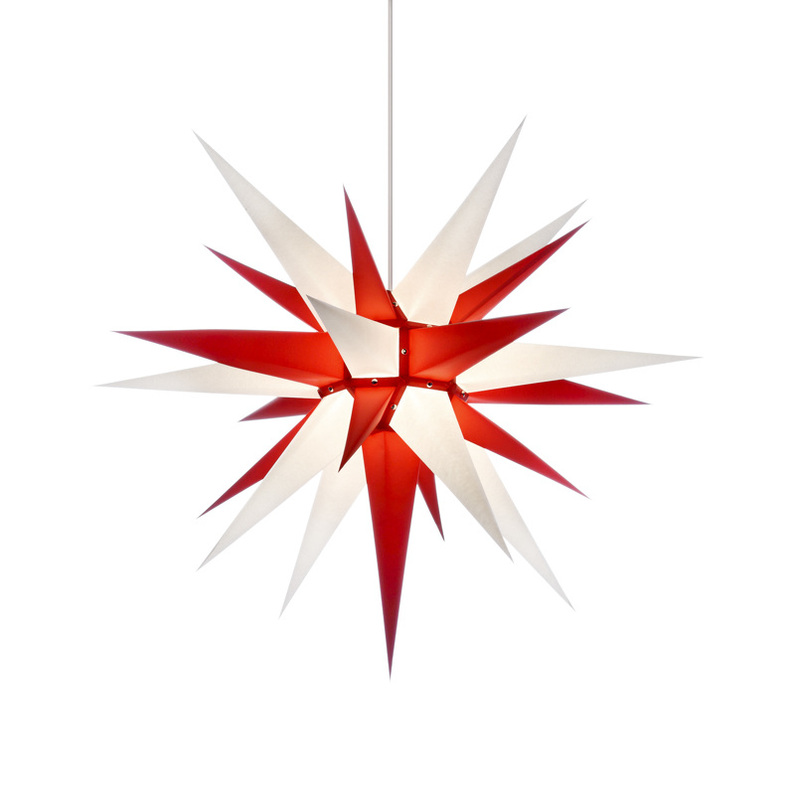 The classic production of paper stars is reflected in the sizes from 40cm diameter. 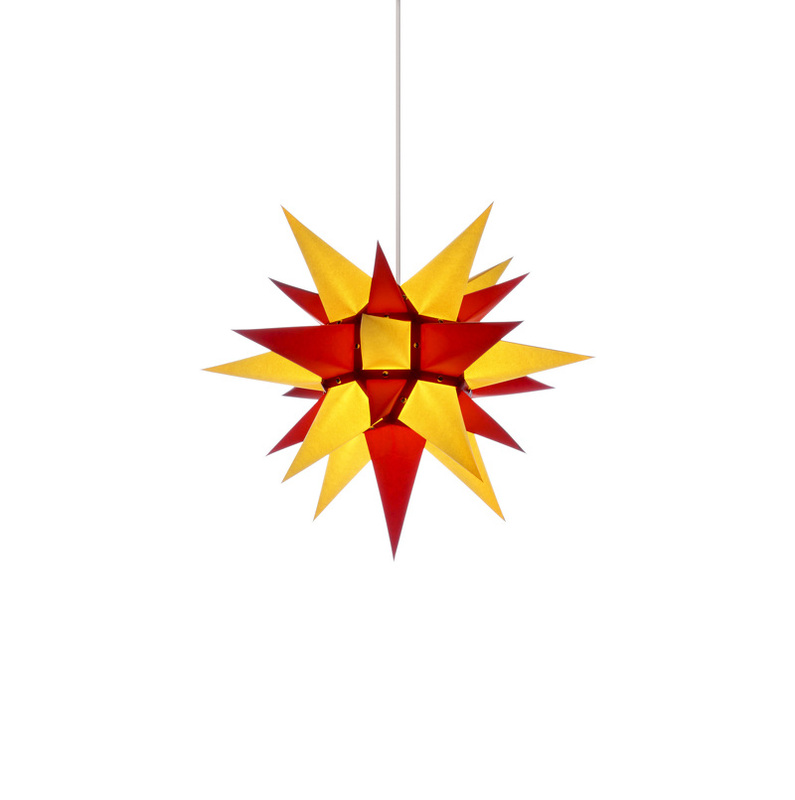 Quietness and concentration fill the room, a subtle scent of fresh paper floats through the air as the sheets of paper glide through skilled hands. 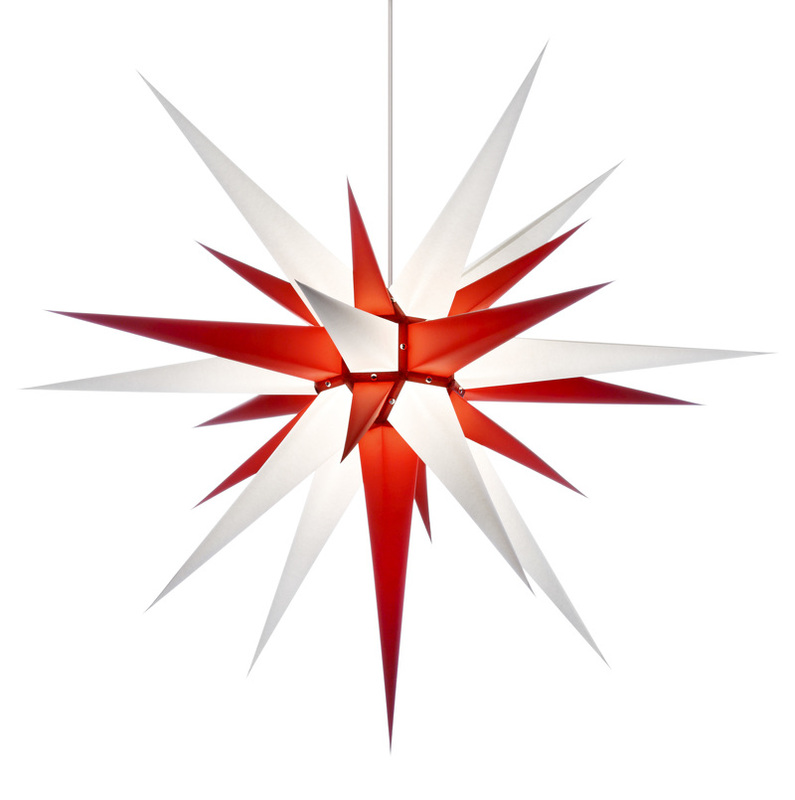 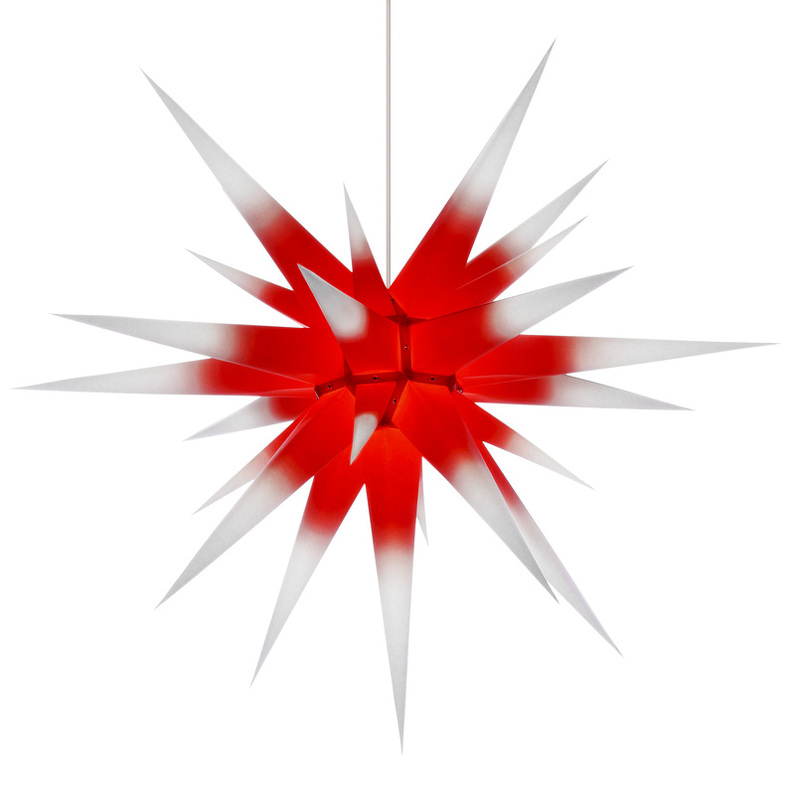 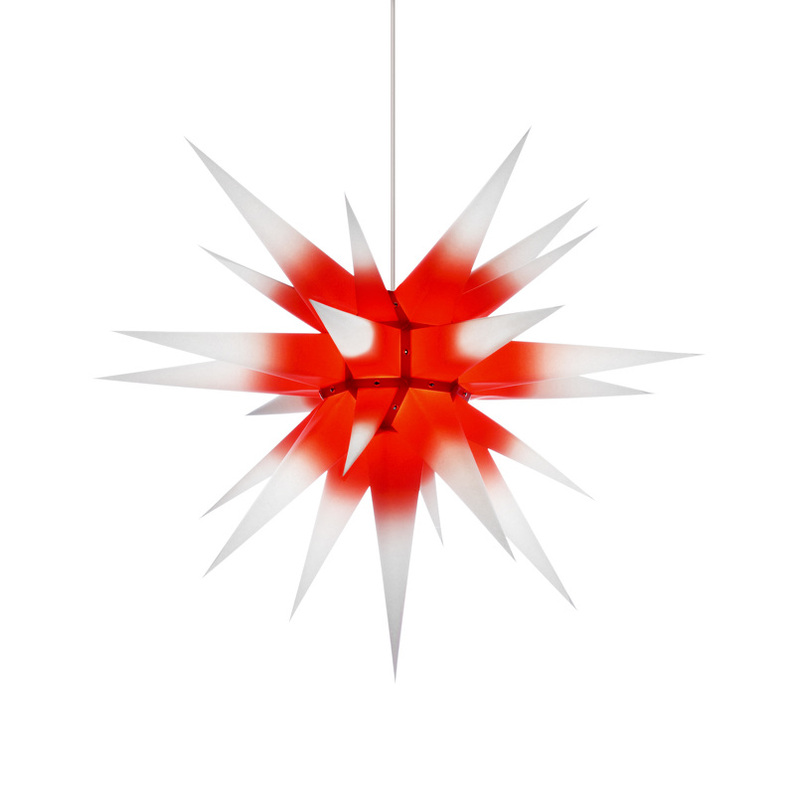 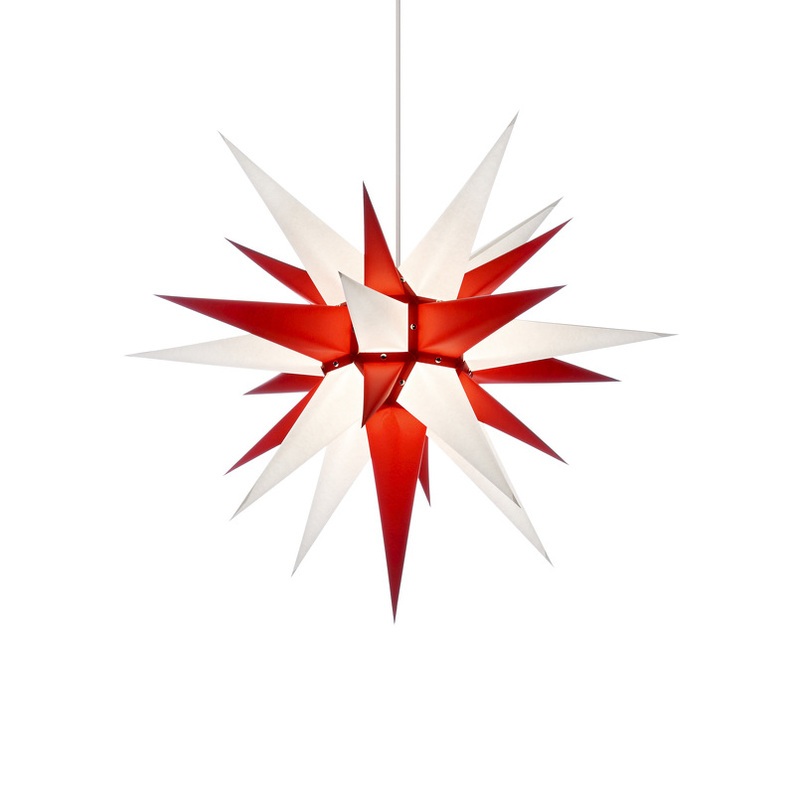 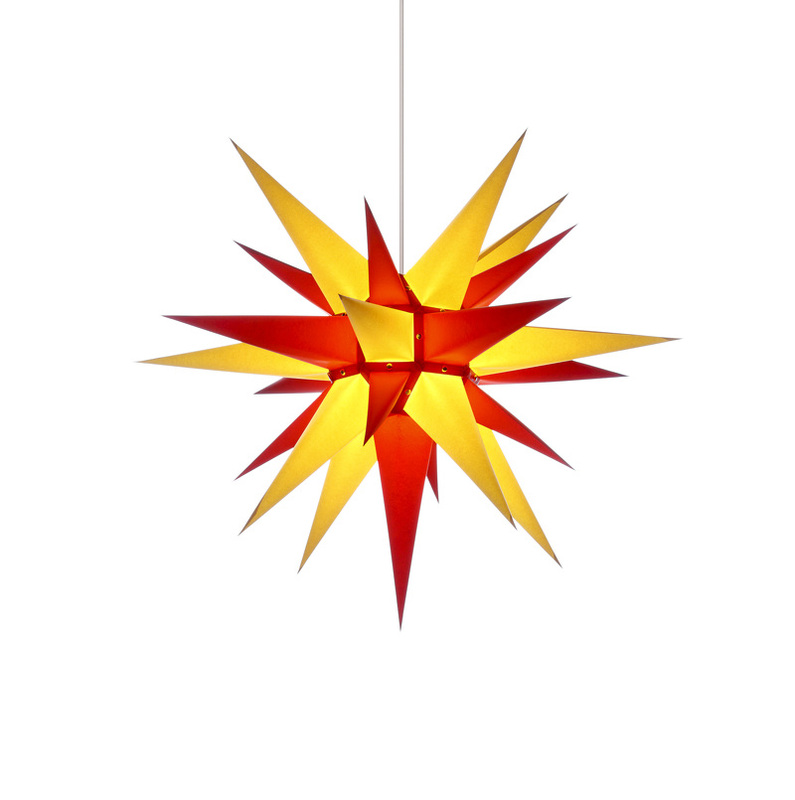 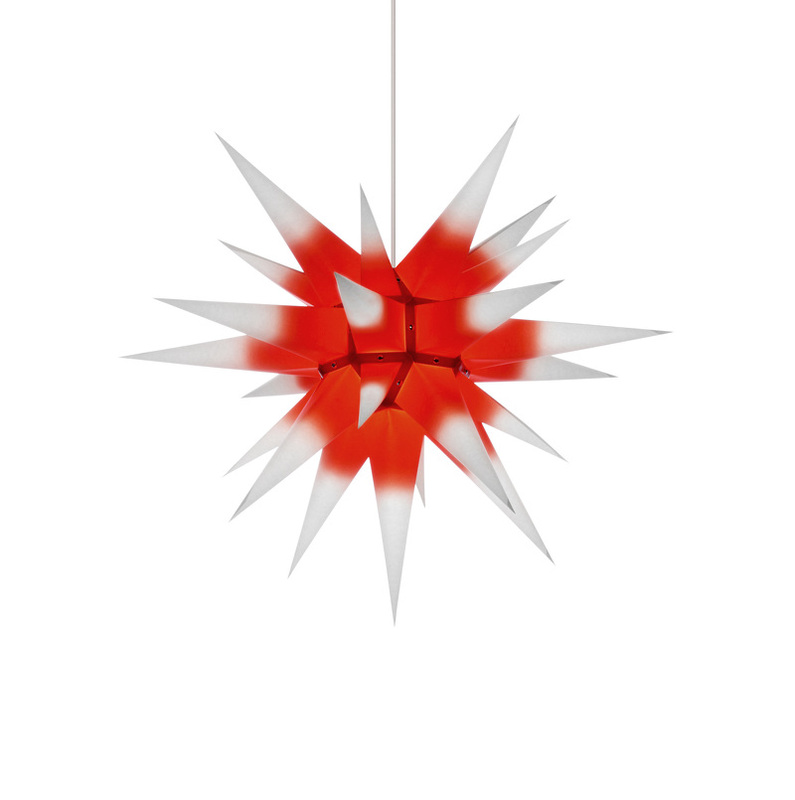 Point by point, the star is build – the “Spitzeldreher” shapes plain coloured paper into cones with a skilled hand – then the individual pieces are left to dry. 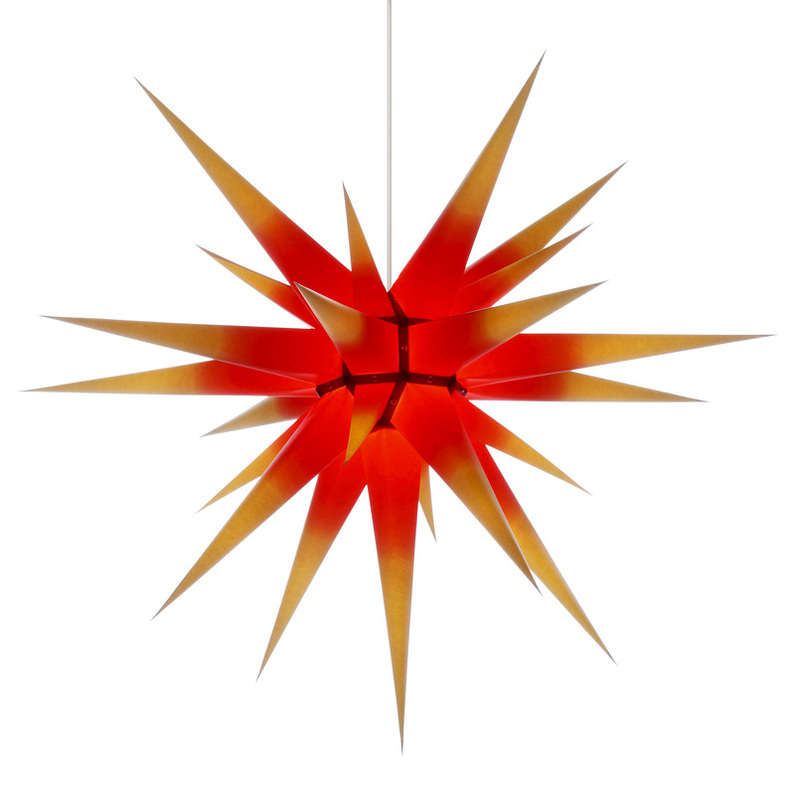 The “Rähmchenkleber” give the points the right shape. 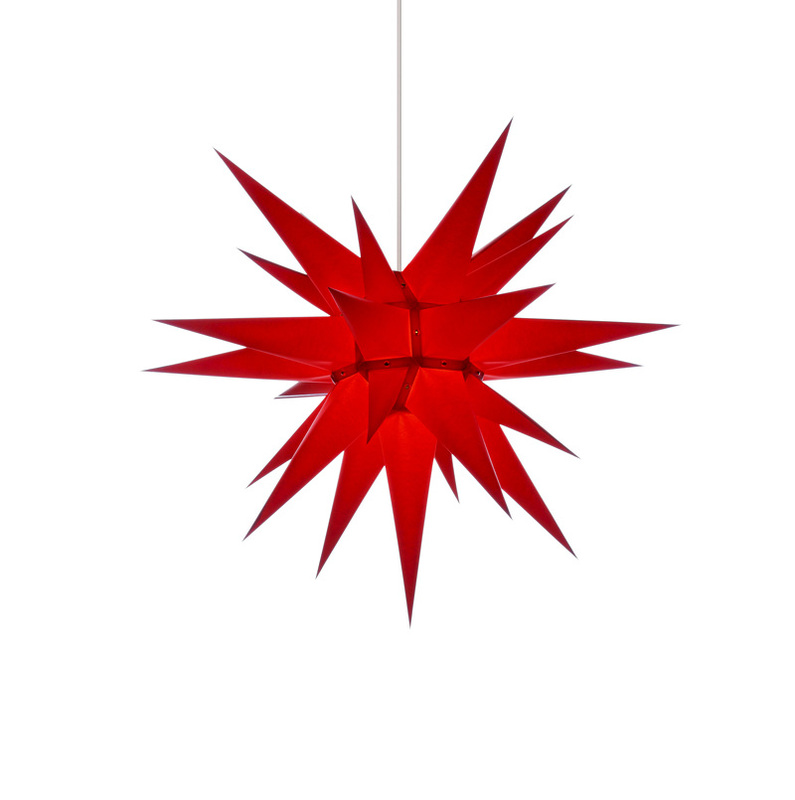 They work together in perfect coordination to complete the stars. 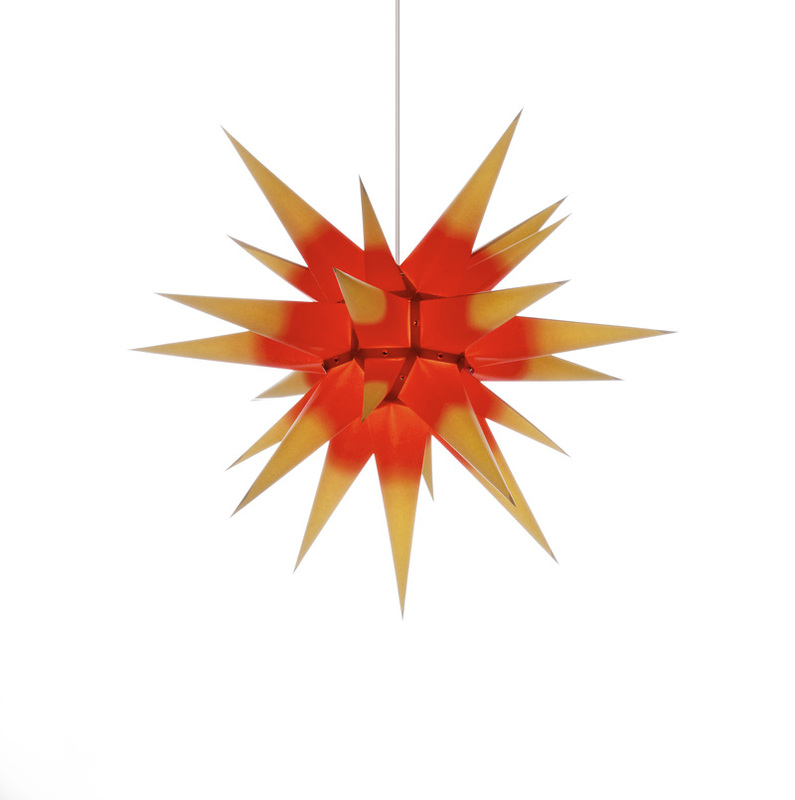 Punched cardboard frames are given a dainty coat of paste to lend the stars their square or triangular form.